Aiming for a 25 percent across the increase for public school teachers, the Guyana Teachers Union (GTU) today submitted a proposal to the Ministry of Education for a new multi-year salary increase. 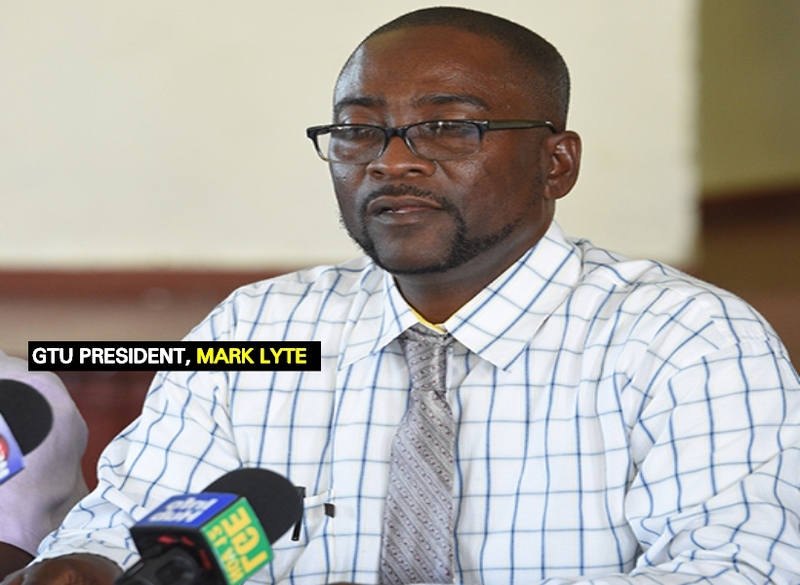 According to GTU President, Mark Lyte, the union is hoping that the Ministry will be able to study the proposal and offer a feedback on the way forward no later than March month end. In addition to aiming for a 25 percent increase, the union is also proposing conditions for the re-employment of retired teachers; the need for grants for schools which are often subjected to inadequate stock; incentive for teachers with additional qualifications and those qualified in areas of physical education; and special needs education. “Some of the things we have fine-tuned them. We still have things like duty-free concessions, continuation of the Whitley Council [leave]…we are proposing adjustment to Whitley Council; we have clothing allowances; we have house-lots for teachers still on the cards and we do have other things like class size issues. The class size for special needs schools, we are requesting a smaller number or in cases where the number cannot be smaller we are recommending a teacher’s aide for the teachers so at all times there will be two persons to the class,” Lyte shared. The proposal, ahead of being submitted to Ms. Adele Clarke, the Education Ministry’s Permanent Secretary, had its content approved by the membership of the union. Lyte noted that although the union had initially planned to submit the proposal much earlier, a decision was taken at the level of its General Council to ensure that its 10,000 odd membership from across the country had the opportunity to give their input. The last [three-year] agreement the Union had with the Education Ministry expired at the end of last year shortly after it was signed. This was owing to the slothful approach taken by the ruling administration to deal with the union’s proposal which was submitted since the end of 2015.